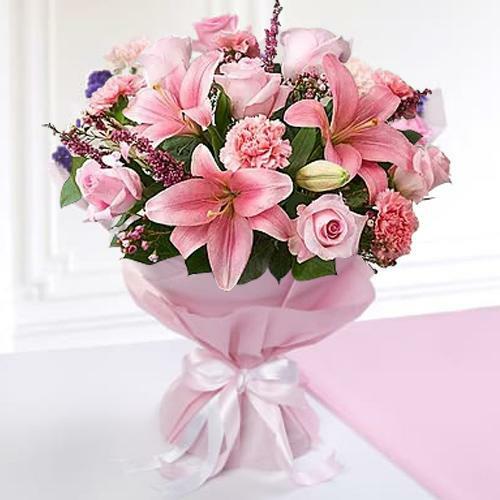 Tether your loved ones to your heart by sending this Traditional Love Bonding Mixed Seasonal Flower Bouquet and surprise them with your special gesture. Mixed Seasonal Flower Bouquet with 500 grms Assorted Sweets. Mixed Seasonal Flower Bouquet with 16 pcs Ferrero Rocher chocolate box.